The already tenuous relationship between the United States government and the nation’s citizens was thrown into a tailspin in 2013 when Edward Snowden, an analyst for the National Security Agency leaked classified documents concerning a government surveillance program to a journalist. 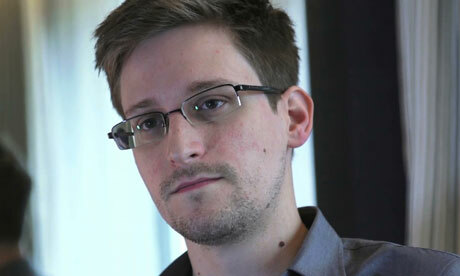 The programs, which allegedly monitored the phone calls and email communications of ordinary citizens and leaders alike, at home and abroad, did not sit well with Snowden, leading him to “blow the whistle,” violate his oath of office, and possibly risk his own life to defend the privacy of the American people. The scope of the global opinion about Snowden’s actions is split into two main camps. One side insists that Snowden is a hero and a patriot, and that his leak of highly-classified security documents was a gift to the American public, while the other believes that he is a coward and a traitor, and that he should prosecuted to the fullest extent of the law for the crimes that he committed. The fact of the matter is, that while this type of surveillance may be questionable in the eyes of a nation, it was neither the place nor the duty of Edward Snowden to release those secrets to the public. He could not have foreseen the damage that would be done to international relations for the United States, or the danger in which a lack of surveillance could put everyone during this age of rampant international terrorism. For that, Edward Snowden should be extradited to the United States and made to face trial for this most serious trespass. The 2015 documentary film Edward Snowden – Terminal F chronicles Snowden’s release of some of the government’s deepest secrets, and his subsequent quest to find asylum outside the United States. The documentary revealed the lengths to which Snowden went to evade capture for his wrongdoing, and the lengths to which the United States government went to ensure his extradition, and featured interviews with Snowden, U.S. government officials, and people who helped him escape to safety, such as WikiLeaks founder Julian Assange. According to General Michael Hayden, who was interviewed for the documentary, what “Snowden disclosed wasn’t information. He disclosed how we collected information. In other words, he didn’t reveal a bucket of water – he revealed the plumbing. He revealed how we gather, process, and distribute water, and therefore, that’s going to have a really harmful effect on American intelligence for a very long time” (Edward Snowden – Terminal F). Snowden himself wants to put an end to mass surveillance, relating that “by basically adopting changes like making encryption a universal standard – where all communications are encrypted by default – we can end mass surveillance not just in the United States but around the world” (Bamford) What Snowden fails to see is by executing such a massive global change in communication, intelligence agencies will have to waste valuable time decrypting messages that could aid in the apprehension of terrorists or other criminals before they act. What compounds Snowden’s actions even further is the blatant hypocrisy that he has shown not only in the release of that intelligence information, but in his choice of refuge afterwards. He was once an active community member on Ars Technica, a computing and technology forum, and in 2009 under his online username TheTrueHOOHA, Snowden “was incensed at The New York Times for revealing details about American and Israeli plans to sabotage Iran’s nuclear programme” (Packer). Just four years later, Snowden himself decided that it was his moral duty to attack the United States intelligence program in the same way, and on a much larger scale. Furthermore, the countries in which he sought and eventually found asylum after his escape from the United States all practice suppression of free speech and press, and monitor their citizens in much the same way as his home country did. According to an unnamed Administration official, “Mr. Snowden’s claims that he is focused on supporting transparency, freedom of the press, and protection of individual rights and democracy is belied by the protectors he has potentially chosen: China, Russia, Cuba, Venezuela, and Ecuador. His failure to criticize these regimes suggests that his true motive throughout has been to injure the national security of the U.S., not to advance Internet freedom and free speech” (Cassidy) The breadth of Snowden’s hypocrisy in this matter is more than enough to assert that he is not what he seems or claims to be. What should truly matter in the end for American citizens is the pursuit of safety – for themselves, their loved ones, and their neighbors. While surveillance efforts by the National Security Agency, the CIA, or any other branch of the United States government cannot possibly foil every terrorist plot, a wide net must continue to be cast in order to prevent as many of those plots as possible from being executed. The country has seen future terrorists – both foreign and homegrown – blend in with the population, leading seemingly normal and innocuous lives, only to rise up later and commit unspeakable acts of destruction. In those cases, a bit more digging may have alerted authorities to warning signs, and many a mass shooting or bombing may very well have been averted before it was too late. To put it simply, if a given citizen has no criminal intent, they should have nothing to worry about when it comes to possible monitoring of their communications. With each passing day, the world becomes smaller and more dangerous, and it will continue to become so unabated if caution is thrown to the wind. On one side of the scale rests the American belief in an innate, inalienable right to privacy, and on the other, the simple right for a person to go to school, to a mall, or to a movie theater, without the fear that it will be the last thing they ever do. Edward Snowden, the self-righteous rogue agent who with a backpack full of thumb drives set back the American intelligence community back in its mission to protect its citizens at home and abroad, tipped that scale in the wrong direction. Bamford, James. “Edward Snowden: The Untold Story.” Wired Magazine. Wired Magazine, August 2014. Web. 22 August 2014. Cassidy, John. “Demonizing Edward Snowden: Which Side Are You On?” The New Yorker. The New Yorker, June 2013. Web. 24 June 2013. Edward Snowden – Terminal F. Dir. John Goetz, Poul-Erik Heilbuth. Perf. Glenn Greenwald, Edward Snowden, Michael Hayden, Julian Assange, Sarah Harrison. Danmarks Radio, La Compagnie des Taxis-Brousse, NDR, Westdeutscher Rundfunk, 2015. Packer, George. “The Errors of Edward Snowden and Glenn Greenwald.” Prospect Magazine. Prospect Magazine, June 2014. Web. 22 May 2014.